Baritone ukuleles aren’t what spring to most people’s minds when they first think about ukuleles. 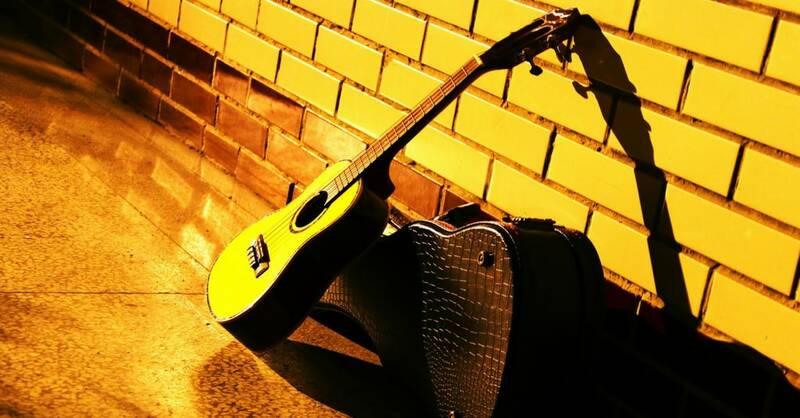 At an average of 29 inches in length, it is approximately 8 inches longer than the extremely popular soprano ukulele, and the tuning is different, too: D, G, B, E.
This makes baritone chord shapes more akin to guitar chord shapes than ukulele shapes, so it’s the perfect instrument for the guitarist who would like a smaller instrument for portability, fun or ease of use. Baritones also suit those new to strumming, who would like something a little easier than guitar to start with. 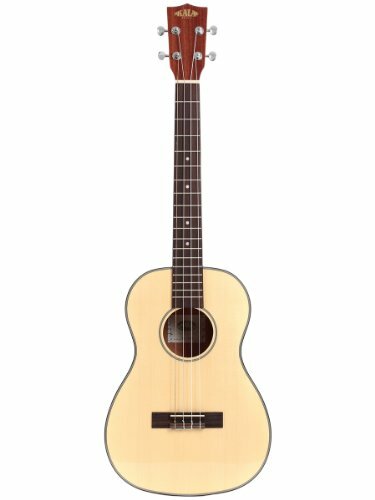 When buying a baritone ukulele, superior features can include a solid top for high-quality resonance, the inclusion of Aquila strings, a mahogany or maple body, and a Rosewood fingerboard and bridge. Die-cast tuners are also something to look out for, for tuning stability, and the inclusion of accessories is not to be sniffed at. They’re a little more expensive than the soprano variety and generally of a higher quality. It’s considered a beautiful instrument – not a toy – and made with materials to suit that. This beautiful baritone ukulele has a solid mahogany top, and mahogany back and sides, which makes it sound rich and resonant. The geared die-cast tuners help the included strings (which are often Aquila!) to stay in tune very well, and the rosewood fretboard and bridge reinforce the richness of the instrument and enable a smooth playing experience. Though there are more expensive Ohana baritone ukuleles available, the BK-20 offers the best value for money and the sound quality is so good, it’s up there with the best. Kala makes exceptional mid-level ukuleles and the KA-SBG Baritone is particularly impressive. It has a solid spruce top for superior resonance, and mahogany back and sides. There’s also a Rosewood fretboard for a smooth playing experience, and an arched back for a brighter, louder sound. It comes with low action and is fitted with Aquila strings, so you can enjoy the playing experience to the max, straight away! 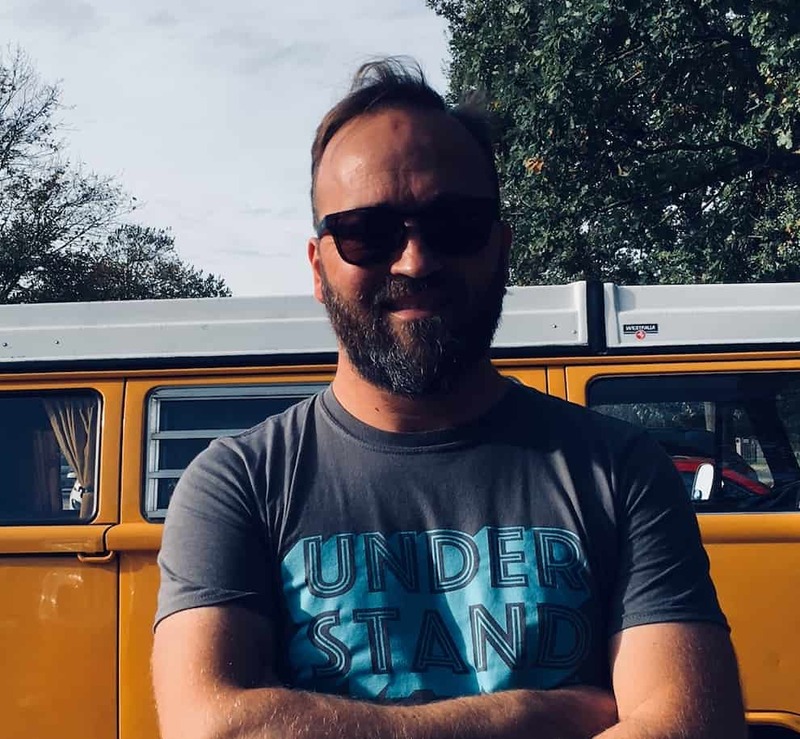 Stagg is commonly remembered for the instruments they make for school children, but they do so much more than that. This one is an example of how they are serious contenders in the high quality, budget-friendly instrumental market. Like the Ohana and the Kala, Stagg’s baritone has a solid top, a rosewood fretboard and bridge and mahogany back and sides. The resonance, tone, and playability are all top quality and there are die-cast tuners to help you to stay in tune. Oscar Schmidt is renowned for their high quality, budget-friendly bundles in a variety of stringed instruments. As well as the solid spruce top, mahogany body and neck, this bundle has some unique selling points. There’s a low action on this ukulele, making it highly playable, and the fret ends are also remarkably smooth. 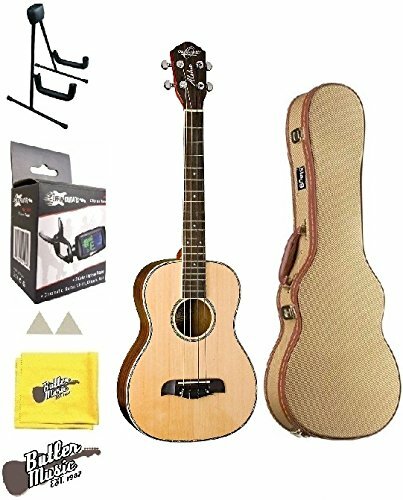 In the bundle is a hard case – which you don’t often get with ukuleles – as well as a tuner, stand, polishing cloth and picks. This stylish ukulele offers many of the same benefits as our other chosen ones: a solid top – which is in this case mahogany – as well as mahogany back and sides, and a rosewood fingerboard and bridge. There are Aquila strings included with the instrument and the action is pleasingly low. 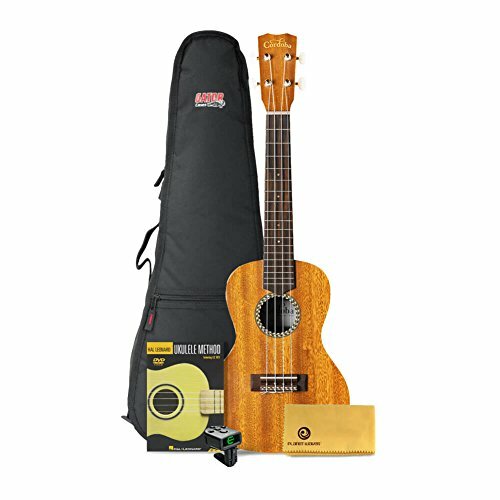 This ukulele offers great value for money, a rich sound, and enjoyable playing experience. However, there was one which stood out as being an even better buy than the others, in our eyes, and that was the Oscar Schmidt OU53. Oscar Schmidt lives up to their excellent reputation with this model, and – as usual – the instrument comes with a decent bundle of accessories for the beginner. It’s not just the extremely stylish hard case that sold it to us, though. The Oscar Schmidt offers superior tone with its solid spruce top and mahogany body, extreme tuning stability with its chrome die-cast tuners, and easy playing experience, thanks to the smooth fret ends and low action.